"Intracranial crash adventure" game due out on October 30. Dramatical Murder Re:code will launch for PS Vita in Japan on October 30, Nitroplus Chiral announced. A First-Print Limited Edition will include a special-illustrated box, art book, and mini soundtrack for 8,800 yen. The standard edition will cost 6,500 yen and the download version 5,500 yen. The game is based on the original 18+ rated Boys’ Love game launched for PC in 2012. That said, the PS Vita game is rated CERO C (ages 15 and up), so expect a few changes. 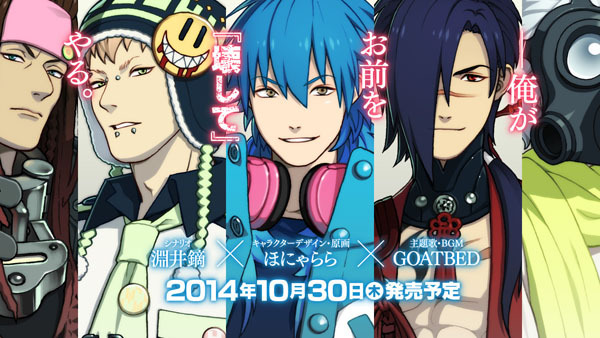 The Dramatical Murder anime is now streaming on Crunchyroll.